In London - one of the most ethnically diverse cities in the world, there are over one hundred translation agencies, and all translation agencies are claiming their translation services are second to none! But wait a second, when it comes to complex language such as Mandarin Chinese, how do you insure the translation is good especially when there is no internal resources to do the quality control? Chinese Translation Pro London is a translation company highly specialized in translating documents from English to Chinese and Chinese to English. Chinese is a complex and subtle language. By specialize in only one language pair, we offer the expertise that even many of our larger competitors in London rely on. When you work with Chinese Translation Pro London, you will cut the middleman, as the result you obtain faster turn-around time, trusted expertise and significant savings. In addition to conventional Chinese translation services, we also offer Proof-reading, Desktop publishing (DTP), Website Localization/SEO, Newsletter Translation and E-mail Translations. 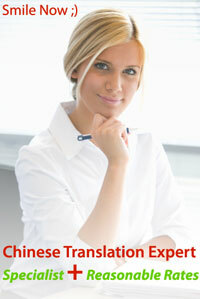 Chinese Translation Pro was established in North America and has strong presence in United States and Canada. 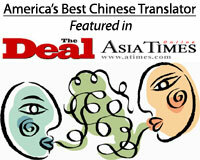 We have an established network of translators in North America and Asia. We achieve significant savings by having the flexibility of incurring cost in cheaper foreign currencies such as US Dollar, Canadian dollar or the Chinese RMB. We pass on the savings to our british clients. Our translation rate is very competitive, starts from as low as ONLY �0.07/word! Our translation price quote beats all our competitors in London, we price match all certified translation agency in and around London! Get free price quote now!